J first came to Affinity Trust in January 2018, when he was seven. Referred to us by Bradford Council, J was one of the first children in the city to be supported by our Positive Behaviour Support (PBS) service. The service outcomes are to keep allocated children out of residential care, maintain education provisions, improve quality of life, and reduce behaviour that challenges. Our Service Lead carried out a functional assessment of J’s behaviour and a quality of life assessment. We discussed our findings with Gillian and J’s multi-disciplinary team. All agreed with the information presented and we started to develop J’s Positive Behaviour Support plan. Our team continued working intensively at J’s home and school, and with J’s grandparents and other stakeholders, supporting them in implementing the PBS plan, modelling strategies, and providing guidance. We also designed short environment-specific plans. developing healthy sleep patterns using pictorial prompts. He is now sleeping well, usually in his own bed. His diet is more varied – he chooses fruit rather than repeatedly asking for sweets and ice lollies – and his appetite at school has improved. He is going to the shops with Gillian, with few incidents in the car or the community. He is starting to manage his own emotional state and calm himself down when he begins to display early signs of distress. This has included self-regulating at the start of the new school term, which had previously been a major trigger. 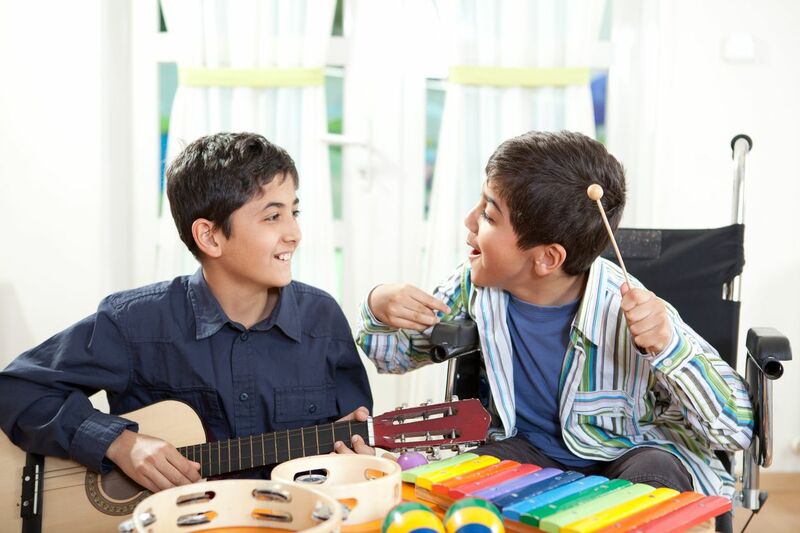 Our Positive Behaviour Support service in Bradford is commissioned using a Social Impact Bond. Affinity Trust receives payment only if children remain out of expensive residential care placements. Our social investor is Social and Sustainable Capital. The outcome payments for this service are funded by the Big Lottery Fund, Bradford Council, and NHS Clinical Commissioning Groups for Bradford City, Bradford District, and Airedale, Wharfedale and Craven. In response to demand from family carers and commissioners, we're extending our support to children and young people with learning disabilities. Affinity Trust has launched a new Positive Behaviour Support service for children and young people with learning disabilities in Bradford. Research shows that Positive Behaviour Support improves the quality of life of people supported, and helps reduce the occurrence of behaviours that challenge.